Whether you're looking to pull something together quickly on a weeknight or have hours to let a flavorful stew simmer, we've got you covered. Here are the best chili recipes for every occasion. WASHINGTON — Spring may be around the corner, but it’s always a good time for chili. Whether you’re looking to pull something together quickly on a weeknight or have hours to let a flavorful stew simmer, we’ve got you covered. 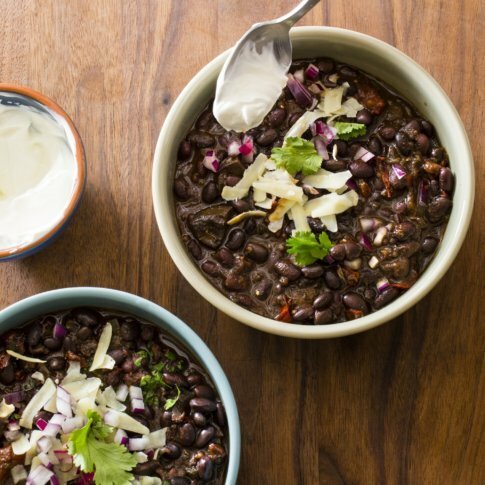 This black bean chili is as hearty, savory and satisfying as any meat chili. Find the AP recipe here.